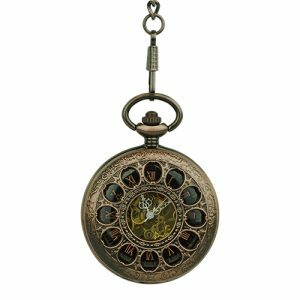 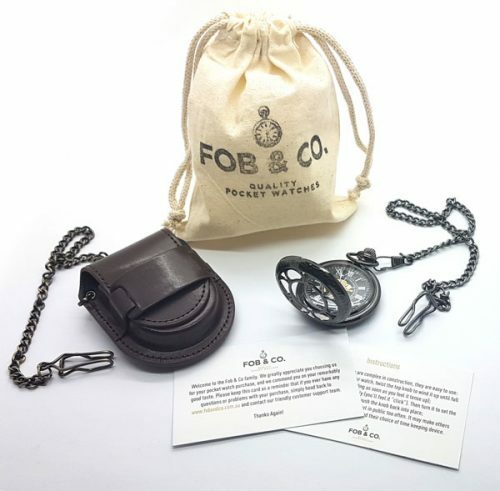 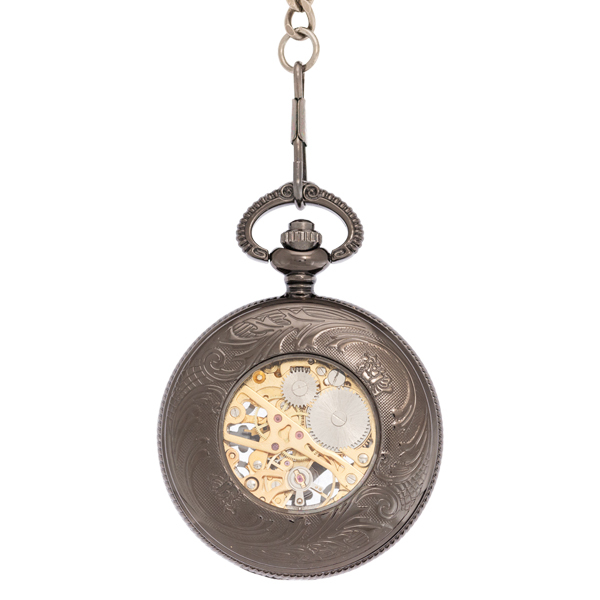 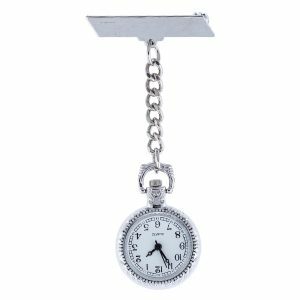 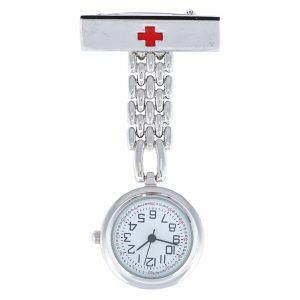 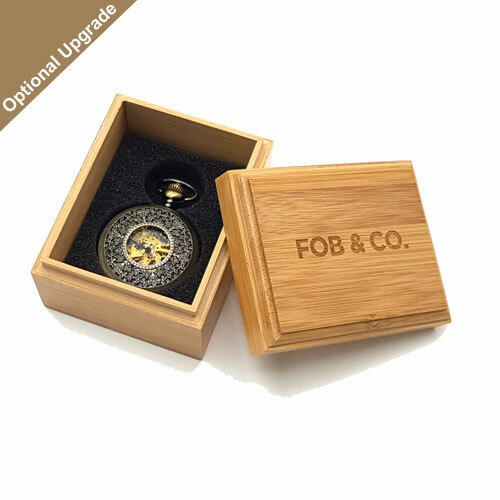 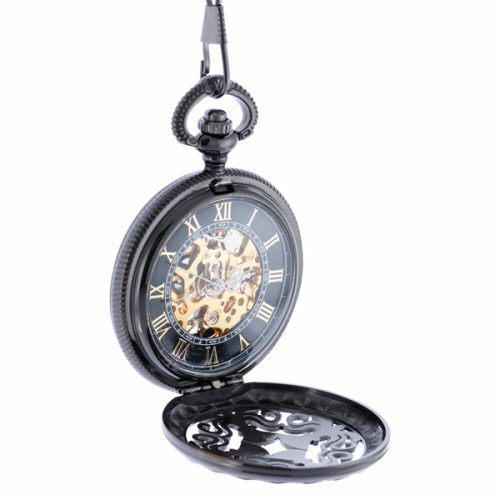 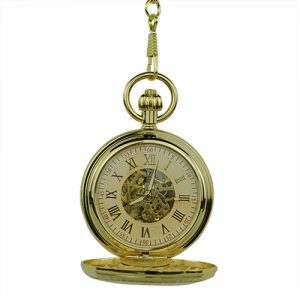 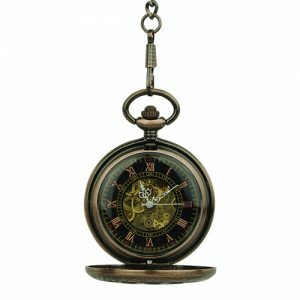 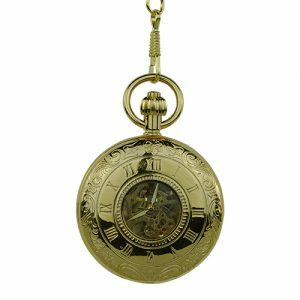 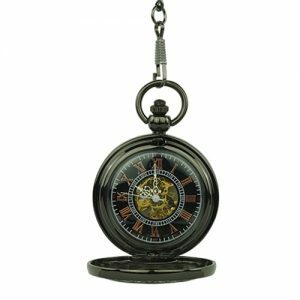 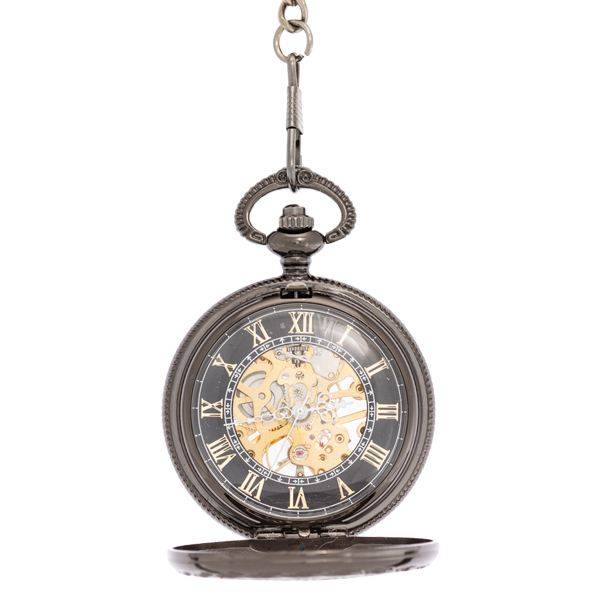 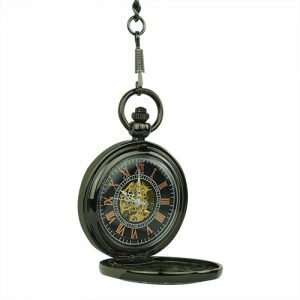 Here is a pocket watch with a dark metal frame and half hunter cover. 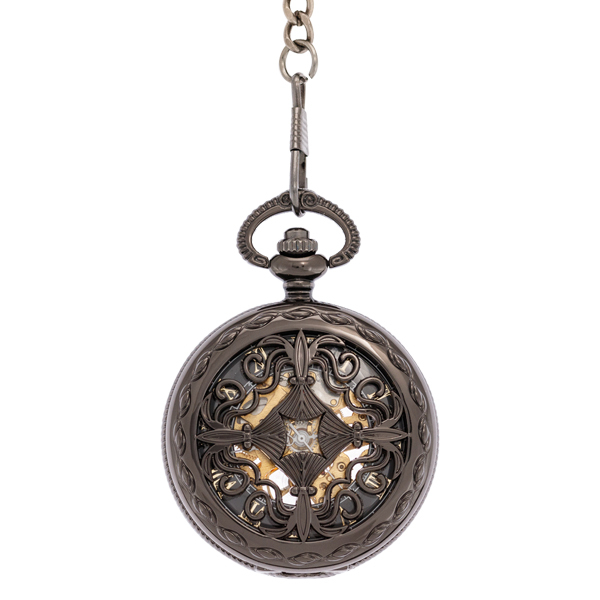 The design is intricate but includes a centerpiece of four dagger points. 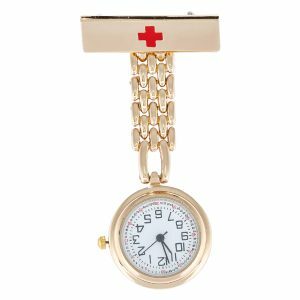 The viewing windows reveal a see-through watch design with gold-coloured inner workings.